There are many choices a broker can offer a seller to promote their trawler for sale. Fair pricing and a clean, fully operational trawler are the keys to success. Finding the best places to creatively expose a trawler for sale and then skillfully presenting it to potential buyers is incredibly important. There is no set “cookie cutter” model that works for everyone and JMYS strives to set your trawler apart from the competition and to attract qualified and willing buyers. The broker relationship between buyer and seller should be respectful, friendly, helpful and ethical. JMYS treats buyers and sellers with equal professionalism, developing trust and confidence for all parties. Here is a summary of some of the sales strategies we like to discuss with Sellers when they list their trawlers with JMYS. Personalized Marketing Plan – JMYS has a lengthy discussion with you to discuss pricing, location, showings, advertising and marketing. Each trawler has an individual story to tell and each marketing plan is custom designed for maximum impact according to your requirements for exposure. Market Analysis – Knowing what prices other similar models sold for is the best reality check for both buyers and sellers. JMYS can prepare a study of pricing history for our sellers and also show our sellers how they stack up with the other trawlers they are competing with. Not all of this information is readily available and our extensive research and archives provide an invaluable service to our clients who are selling. 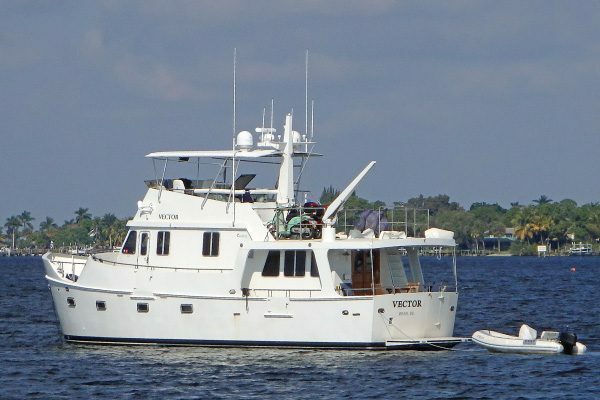 YachtWorld.com – JMYS posts all of our listings on YachtWorld.com the most popular boat searching website on the internet. YachtWorld also has a broker only section called “Sold Boats” which we can access to search for sales price history, time on market and equipment/layout/feature comparisons. Disclosure – JMYS requires every trawler owner with a trawler for sale listing to provide answers to a “tell all” disclosure form regarding your trawlers history and ownership including; flooding, groundings, lightning strikes and major repairs. YATCO.com – JMYS uses the industry leading multiple listings provider, YATCO.com, for all of our exclusive listings with informative specifications and photos to help buyers understand each listing with thorough descriptions and photos. Brochures – JMYS believes that a detailed listing description is essential for a buyer to understand the equipment included in every trawler we offer for sale. Each listing is read and approved by you as the seller for accuracy prior to posting. It is our goal to answer buyer’s common questions up front and provide as much information as we can. A simple, downloadable PDF is created for each listing that can be printed or emailed. Presentation – You want to make a terrific first impression to every potential buyer who comes aboard. We will discuss how to “hide” personal items out of view so that your trawler can be introduced clean, fresh and uncluttered creating a welcoming and inviting appeal. Detailing the interior and exterior is a huge first step and once we have the stainless sparkling and bilges dry we will work with you to keep it nice and also assist with proper staging to make potential buyers feel right at home. Photography – JMYS takes hundreds of photos of each listing to provide a comprehensive inventory for potential buyers – too large of a file to email, these photos are available upon request and can be mailed on a flash drive. We can also share using DropBox. Showings – JMYS believes that getting buyers aboard your vessel is the strongest sales pitch. Making your trawler presentable and attractive is crucial to creating desire from a potential buyer. We work with sellers to stage their trawler and to keep it ready for a viewing on short notice (regular cleanings and airing out are essential). We list trawlers all over the world and can’t be everywhere at once, so we work with trusted local resources to give informative tours when we can’t be there. We coordinate the arrangements to show your trawler and prefer to set up an appointment in advance so that we can make sure your trawler is clean and ready to present a great first impression. 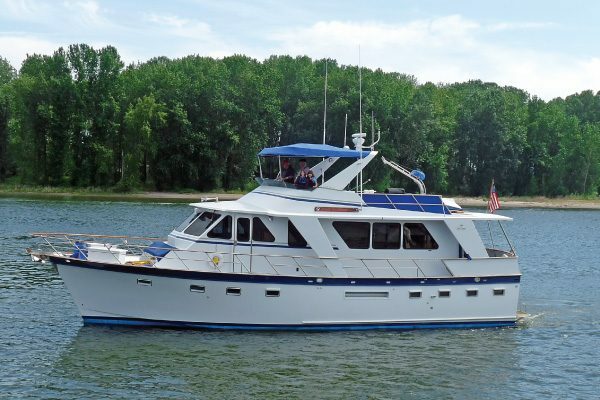 You Tube – JMYS likes to shoot videos of our listings to help buyers get a better feel for the trawlers offered by providing a walk through tour. This also gives our sellers broader exposure. Twitter – We are always surprised with the number of people who follow our tweets and continue to work this in to our marketing strategy. Magazine advertising – JMYS works with each seller individually to determine if a four color ad in a regional or national publication is a prudent marketing investment and then helps create the ad copy. Boat shows – Our team attends the major US boat shows and TrawlerFests and we are strong believers in “showing” trawlers that are for sale, you never know when a good buyer will walk aboard. Sellers who wish to have their trawlers presented in shows coordinate this exposure through JMYS’s marketing plan. Product Knowledge – JMYS spends time with our sellers aboard their trawlers to better understand all of the unique qualities and special features that are included in order to communicate these assets and advantages to potential buyers. Client Qualifying – In order to help save our sellers time and manage expectations, we try to learn as much as we can about a buyers timing, budget and cruising plans in order to help buyers focus on trawlers that are appropriate for their requirements. When we are working with a potential buyer who appears to be on target for your trawler for sale, we will explain the advantages and opportunities available if they were to purchase it. Networking – JMYS has worldwide connections with fellow brokers who have clients looking for your type of trawler for sale. We communicate with our colleagues to help get the word out and bring your trawler to the attention of sophisticated buyers who don’t have the time to do their own research and instead rely on their brokers for advice on finding a trawler for sale.